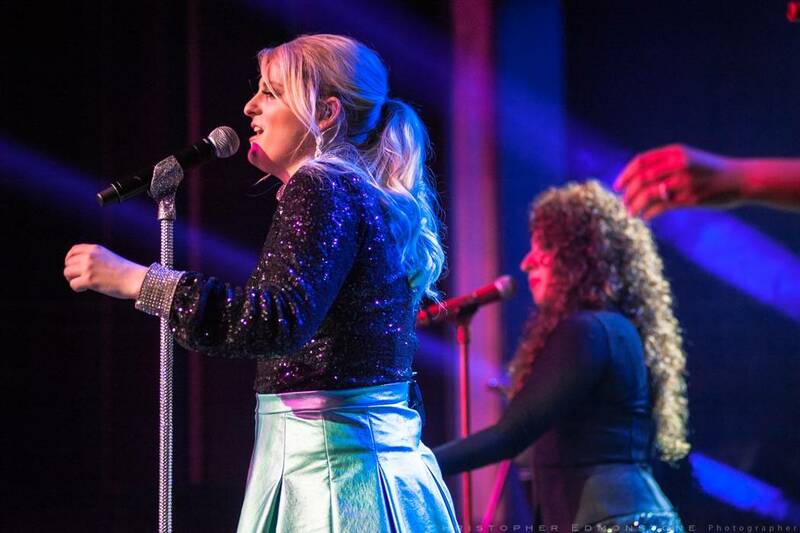 Meghan Trainor at the Vogue Theatre, Vancouver, Feb 11 2015. Christopher Edmonstone photo. A screaming crowd answered back to Meghan Trainor as the singer pulled 12-year-old Sophia out from the side of the stage. After placing a crowned headband on the audience member’s head, Trainor walked around stage hand-in-hand with Sophia to cheers from the amped-up crowd. After taking a selfie with the Top 40 vocalist, Trainor’s guest left the stage. “Every show I’m gonna have a queen like that,” said the 21-year-old singer/songwriter from Massachussetts. 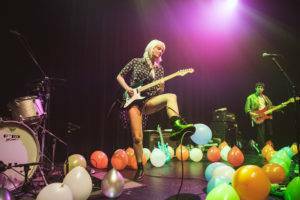 Trainor’s That Bass Tour launched its first show at the Vogue Theatre in Vancouver, BC on Wednesday, Feb. 11. 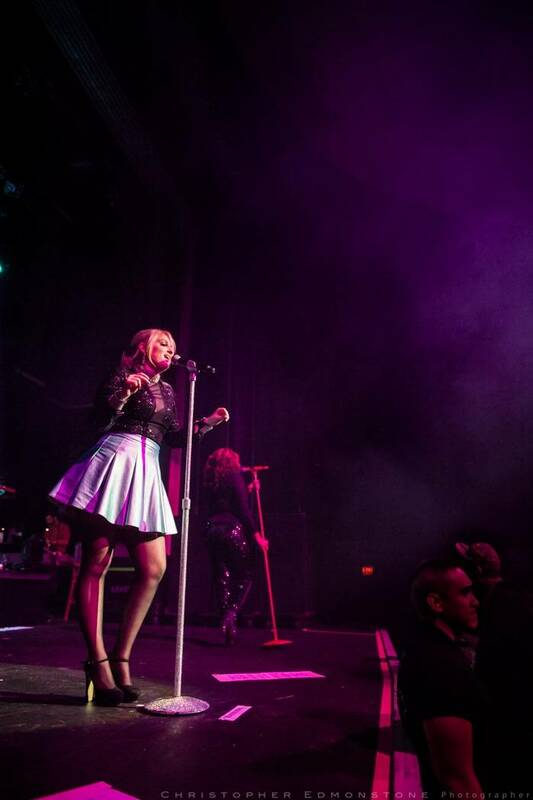 The singer is riding high – her debut album, Title, was released on Jan. 13 by Epic Records. Thanks to its hit single “All About That Bass”, it won her the top spot on the Billboard 200 chart with 195,000 units sold. This makes Title the “biggest debut for a female pop artist’s first full-length album in over five years,” according to Billboard. A songwriter by trade*, Trainor has, thanks to the single, been pushed into the spotlight. For an untested performer, though, she acquitted herself with charm, boding well for the rest of the tour. Besides stunning vocals – to which “All About The Base” hardly pays justice – and the upbeat, reggae-bluesy-funk-type ’60s soul music, courtesy of a five-member band and four back-up singers/dancers – one of the best parts of Trainor’s show were her interactions with her fans, or “Megatronz” as they’re dubbed on social media. She made a point of engaging with all sides of the stage, and more than once pointed out an individual dancing and singing with vigour among the seated balcony-goers. Songs like “Dear Future Husband” encourage female growth and empowerment. So it was no surprise the air was dominated by scores of women and girls yelling and cheering in reply to questions Trainor shot out throughout the hour-long show. “Have you ever ran into an ex-boyfriend,” Trainor said at one point, “and he lookin’ so good? And you bought him that jacket?” She then transitioned into her third song, “Credit,” to the crowd’s excitement. During “Title”, a chorus of voices and cell phones sprang up from the audience to highlight the performance, which was complete with Trainor’s silver glitter-decorated ukelele. 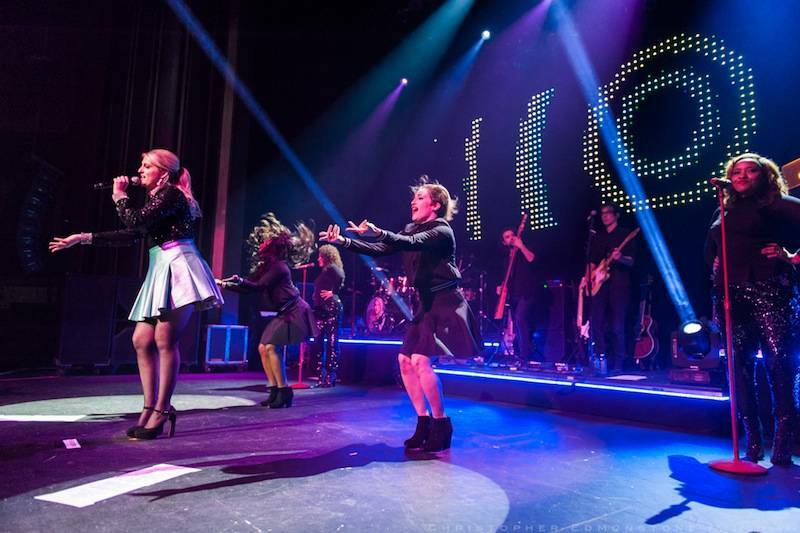 In an environment that promoted female unity, a pre-teen tug-o-war still broke out when one of Trainor’s backup dancers tossed a tour shirt off the stage. But don’t worry, it didn’t get violent. Of course, she left “All About That Bass” until the end, as the last of her two encore songs. For the hit, the theatre exploded with colour, covering the gathered Megatronz with blue and yellow confetti. A final splash of Trainor flavour to a solid performance. *By 17, Trainor had released three albums on her own. She wrote her first song at age seven. Her songs have been recorded by Rascal Flatts, Hunter Hayes, Common Kings, and Hot Chelle Rae singer Ryan Follesé. 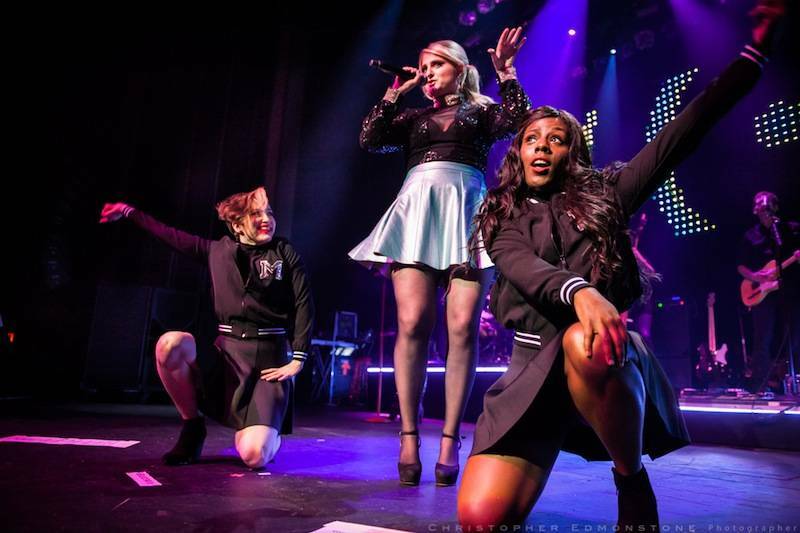 This entry was posted in concert reviews, Homepage Features and tagged Meghan Trainor, Vancouver concerts, Vogue Theatre. Bookmark the permalink. Sorry to leave a message here but I can’t seem to find contact info on you. Great article you wrote on the third generation Italians last week. I am part of an association in Montreal where we try to promote modern Italian culture without forgetting our family’s past. We have a very strong Italian community in Montreal so much so that the majority even kept their regional dialects very strong. I’m a second generation Italian, my parents moved here in the late 60’s, and being of Italian Origin is part of my everyday life, however embracing your Canadian part is just as important. I posted your article on our facebook page. It’s a great article that will interest the Italian community in Montreal. thanks for writing it!